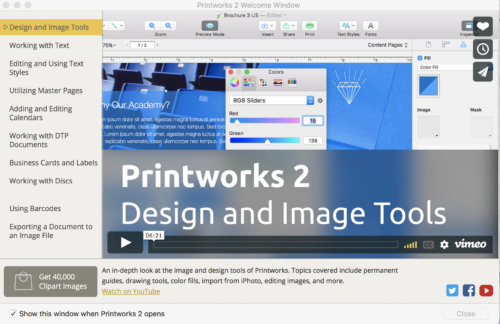 Printworks 2 is a desktop publishing app for Mac OS. It includes templates that will create brochures, flyers, business cards, labels, envelopes, greeting cards and more. It includes 2,000 clipart images. Additional images are available for purchase. Some key features include integration with Apple Contacts, iTunes and Google Maps as well as the ability to share your projects to Facebook and Twitter. Installation uses a normal DMG installer. The first time you open the program, you are presented with a helpful tutorial screen. You can choose not to have the tutorial open at login. 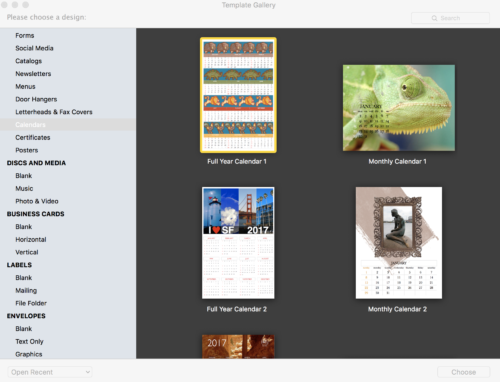 In the main screen, you can either create a new project, open an existing one, or choose a template such as a calendar or newsletter. Once in a project, you have all the options that are common with editing such as inserting graphics, text, lines, circles, as well as advanced options such as inserting a live map, calendar and word art. The program includes a well though out help section as well as a 10 video tutorials. Their website includes additional support options, including a support forum and the option to email support. Additional templates are also available for download on the website. 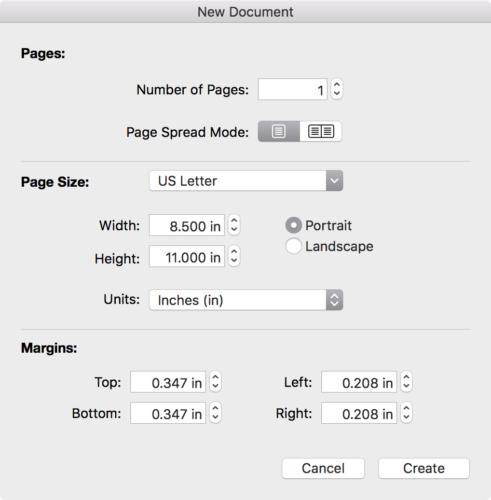 I created a simple project by selecting a new document. 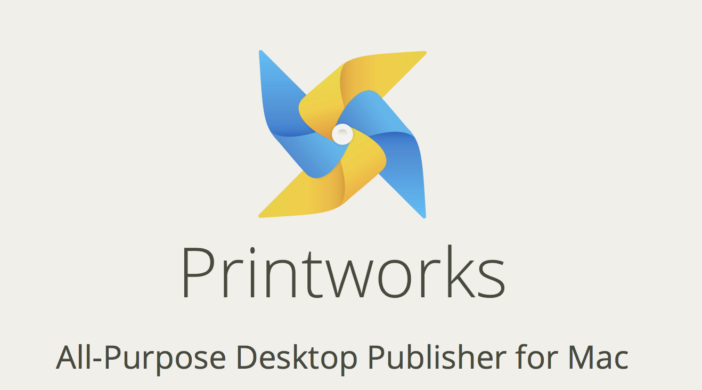 Using Printworks 2 is straightforward, especially if you have used a desktop publishing program in the past. The icons and menu bar are well laid out and easy to figure out. There is the handy undo feature if needed. 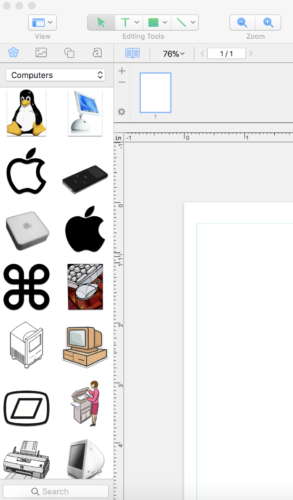 The clipart has a lot to chose from and there are plenty of templates to get you going. 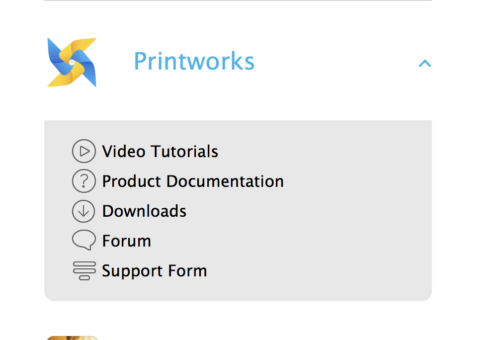 I have tried free publishing applications for the Mac in the past and while they work, Printworks 2 does a much better job at laying out the tools. It doesn’t include all the tools of some of the more expensive programs, but for the price, it is a great option. MyMac Review 9 out of 10 Well laid out toolbars and menubar makes this affordable program worth the price. Better then free options and a perfect option if you do not need some of the tools of the more expensive programs. It is also High Sierra ready. 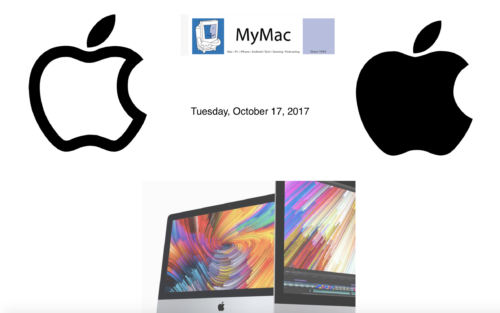 Essential Apple Podcast 60: My Mac, Yakkity Yak!